If you happen to be a blogger, you understand the importance of feed readers. Feed reader stats clearly helps you and your readers understand the popularity of your blog. 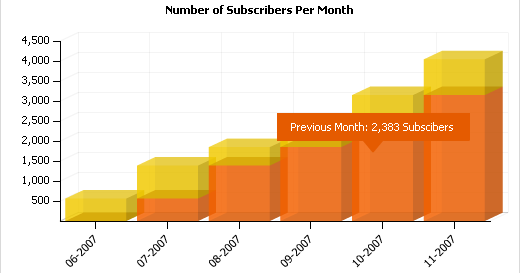 By the use of Feed Analysis, the number of subscribers for each month is neatly shown on the column chart. 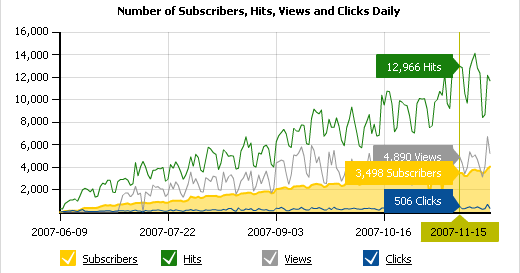 You can also view the number of subscribers, hits, views and clicks for every single day from the line chart. 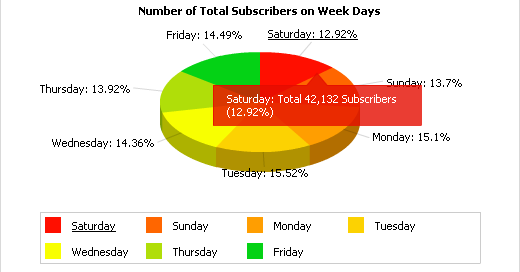 The best/worst day of the week is also available which is displayed on the pie chart. And also, Feed Analysis can give you an estimated value for your blog / site according to the number of your subscribers. 1.) Point your browser to http://www.blogperfume.com/feed-analysis/. 2.) In the available form, mention the feed name and select the number of months. 3.) Click on Generate report. FeedAnalysis doesn’t store your feed stats in its database. Its a free service and can be used for any feedburner feed with Awareness API service active. You can even use FeedAnalysis v1.1 for feeds less than 3 months old, however, the analysis might not be accurate.